Half term means no matches to report on: time for some reminiscing instead. One thing that has already struck me going round the various matches is the friendliness of our league. Yes, people want to win but they want to do it fairly. Manners on court, having respect for your opposition and good grace when we win or lose, are features I have been proud to recognise in all three Blackburn divisions. Our outfits may have changed, our racquets may not be made out of wood and put in to wooden presses anymore, even the way we score the game has altered, but we still play full of commitment and friendliness. 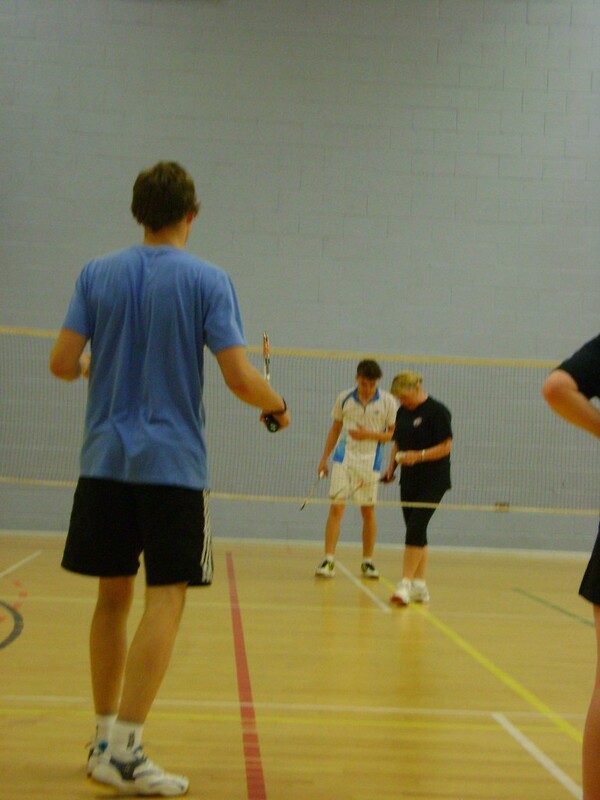 We still love to play this game of badminton. The other thing I have noticed is the longevity of so many of our players. That’s not to say that there aren’t young players being brought in and encouraged, many of them children of badminton playing parents. On the adjacent court to the Blackburn Seniors’ match, it was brilliant to see Rick Smith and Paul Ainger being put through their singles paces by a new recruit from Colne, Brad Savage, a 17 year old star of the future, currently being coached by Alan Clarkson. Likewise, however, at the match at Roefield against St Nicholas, no one could have leapt so eagerly on to the practice court than Dave Vickers when he realised they needed another body to make up four. With his new hip, Dave’s ankles may now take longer to recover the next day than they used to, but his desire to play, to compete, is as fervent as ever it was. 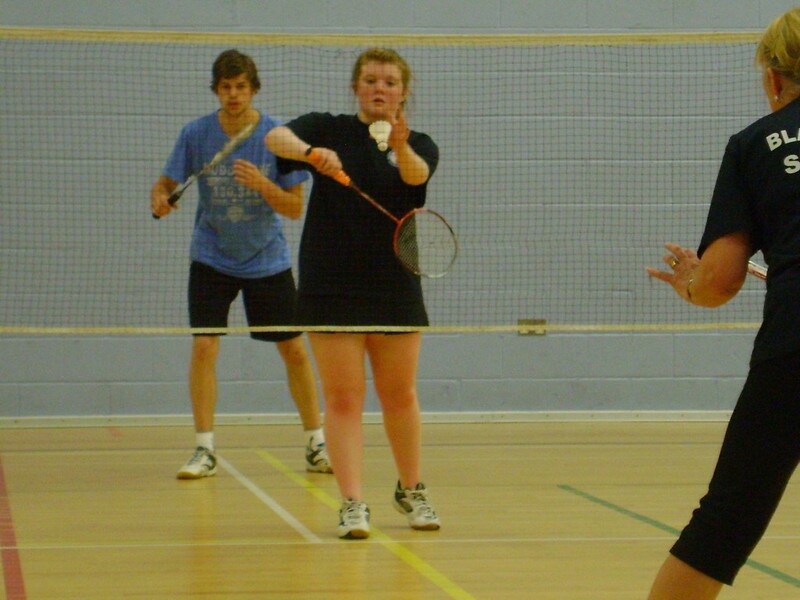 There’s just something about this game of badminton which keeps you going. We must all do our bit to keep playing and encourage others to commit to our sport. At the start of the season we lost two clubs in Harpoons and Roefield B; realistically, our three divisions could have gone down to just two. I know we care about badminton in Blackburn; we must all work hard to support our game, support our league, as much as we can.  There are tournaments being organised: enter them. There will be a presentation dance at the end of the season: go to it. Ok, I’m off my bossy little sister soap box now. At the match against College and Abacus I met two lovely ladies, Dorothy and Sheila, former College players and regular supporters now of their club. During our chat on players and venues we remembered, I mentioned my father may have some photographic evidence of those times: not only had he pictures, he even had a score sheet! Filled in first in pencil, ever the perfectionist he made a neat copy for handing in at the end of the night. Certainly puts my crossings out and inaccurate adding up to shame! I wonder how many of you can remember the players on the team sheet or name them in the photograph? News of the roving reporter has certainly started to circulate: my appearance at Roefield brought an immediate confession of ‘I’ve got tourettes’ from St Nicholas’ number 1 man, Chris Silverwood, as he apologised in advance for the bleeps I would need to build in to my report. Between that and the requests to have all pictures taken from a certain angle and then touched up, I could see I was in for another very entertaining night. Young Michael Boothman, an enthusiastic left hander for Roefield, gave Chris Silverwood and Ian Grimshaw, a run for their money in the men’s doubles with his experienced partner, Gary Walton. Michael’s aggressive smashes and anticipation at the net frequently had the St Nicholas men relying on their defensive play. Unfortunately, however, the understanding between Chris and Ian proved too much for Roefield with Ian’s well controlled backhand drops forcing lifts which Chris was always ready to put away. The Roefield ladies’ pairing of Judith Thompson and Kate Wilde, likewise, battled hard against the strength of Louise Hustler and Linda Vickers for St Nicholas. Linda make good use of all of her racquet as she covered the court well, using her tight net play and serves to excellent effect. Louise played with intelligent court awareness, forcing the opposition around the court with some lovely well placed backhand drives. The diminutive St Nicholas Captain, Yvonne Kay, then partnered Louise in the second ladies, playing against a new pairing for Roefield of Kate with Jean Salisbury. Again it was Louise’s strength and court sense which dominated this match, coupled with some very effective drops from Yvonne. The confidence between the new partnership for Roefield, however, visibly grew on the night and I am sure they will take comfort from a very creditable first performance and score. In the second men’s, Mohammed Aslam and Ian took on Jim Donnelly and Gary. This was another extremely close fought game with all four men covering the court to good effect. The jump smashes and court scampering from Jim with his clever drop approaches to the net were met by Ian’s well- judged clears and cross court drives. A lovely mixture of respectful competiveness and good humour surrounded the game which ended up split between the two men’s pairs. 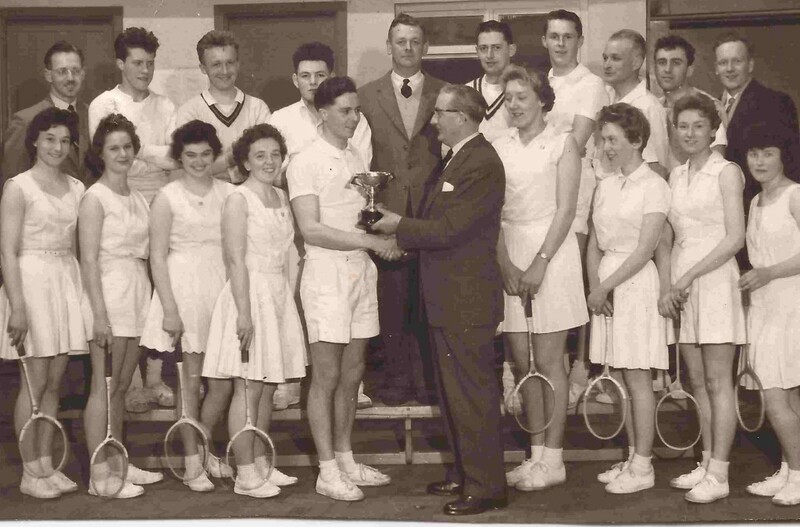 In the mixed doubles, Judith Thompson for Roefield was partnered by Jonathan Sharples as, unfortunately, Michael had to retire ill after his men’s games. Judith was grateful that Jonathan had already thoroughly warmed up on the adjacent practice court as his effective cross court drops showed to good effect. Kate and Gary at number 3 for Roefield had an excellent win against Ian and Louise, with Kate’s delight obvious to see at the end of another close game. So many of the games went down to the wire and could have gone either way on the night. It was lovely to see the friendly competiveness between the teams and the good humoured banter which had started the evening, remain constant right to the end. The sports hall that Bunty Meadows so desperately wanted in Clitheroe, and which she still frequents to help with coaching and practices, is definitely still going from strength to strength in the Ribble Valley. Hopefully this will encourage Jack of all Trades (aka non playing captain of Roefield, Jane Rodia) to go for another 20 years! Week 3 saw our intrepid reporter braving the dizzy heights of Division 1 and trying, as always, to do far too much – play and write on her own match. 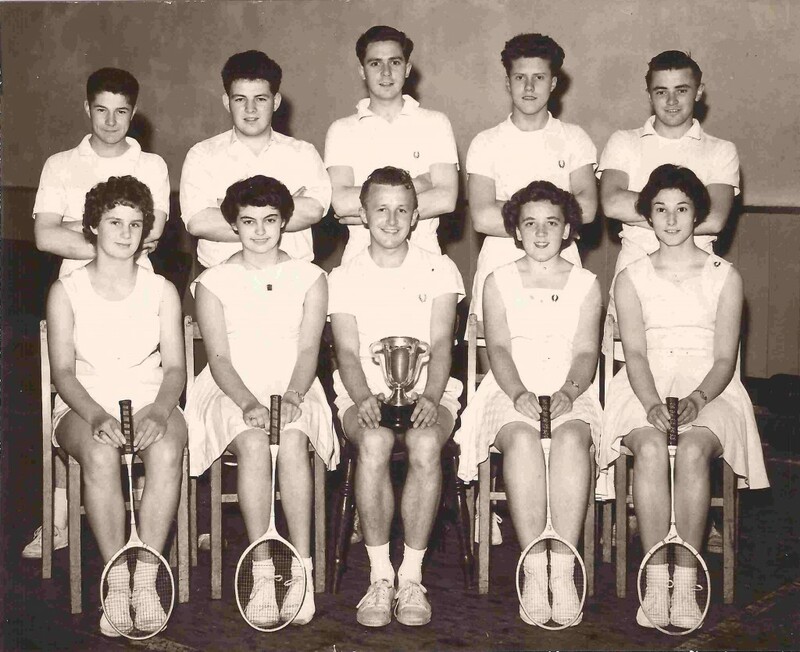 As Captain of Westholme, my team mates must have wondered if I’d left my racquet on the bench and was trying to play with my pen instead. Hopefully this report on their battles on court will go some way to make up for my own lack lustre performance. As soon as the Hit & Miss men, Captained by Ashley Gibson, walked on to the courts, the lights blew a fuse. Was this an omen we wondered? Nick Hodgson’s fast cross court smashes and clever net play frequently had the Westholme opposition grovelling for the shuttle. But grovel they certainly did as many of the closely fought games bore witness. 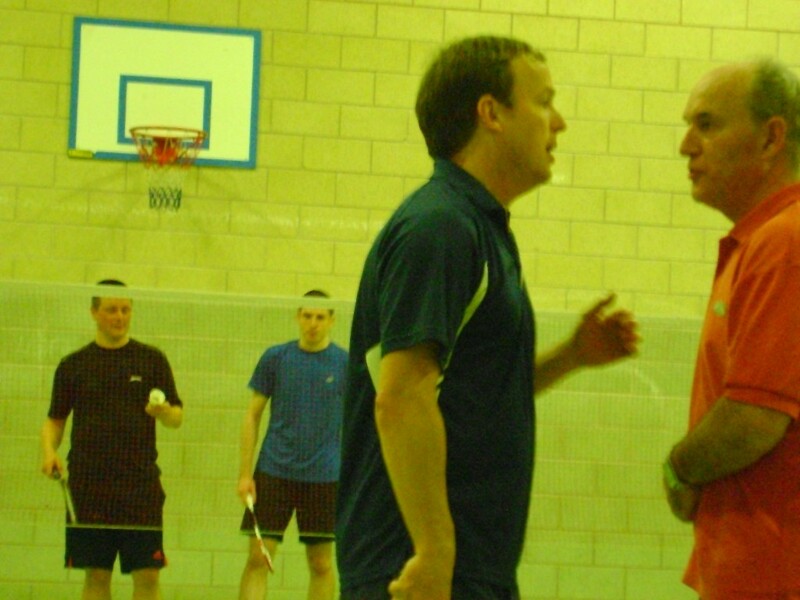 Andrew Finch and Graham Robinson were particularly unlucky in their men’s game against Ashley and Nick. Fresh from his European title as Over-60’s singles champion, Graham was determined not to go down without a fight. Andy, likewise, played superbly, often reaching the unreachable shot and surprising the opposition with his winning returns. His diving days may be drawing to a close, but Andy’s perseverance and desire to win are as keen now as they have always been. In the mixed doubles, Sam Ames who had stepped in last minute for Westholme partnered Lynn Hosegood in her first match for her Blackburn team. Lynn’s tight net play and excellent short serving consistently forced the opposition to lift the shuttle, which Sam was ever ready to bury. Hit & Miss, however, do not often live up to their name, with far more of their shots being hit than missed. Defensively, the experience of Julie Bates and Abdul Malik coupled with the power horse that is Nick Hodgson and his partner, Caroline Grimbaldeston, were enough to see off any Westholme challenges. The single game won by Westholme on the night belonged to Lucy Hunt in the ladies. Lucy covered the court behind her partner with her usual quiet efficiency, unleashing her strength in smashes which very rarely came back. 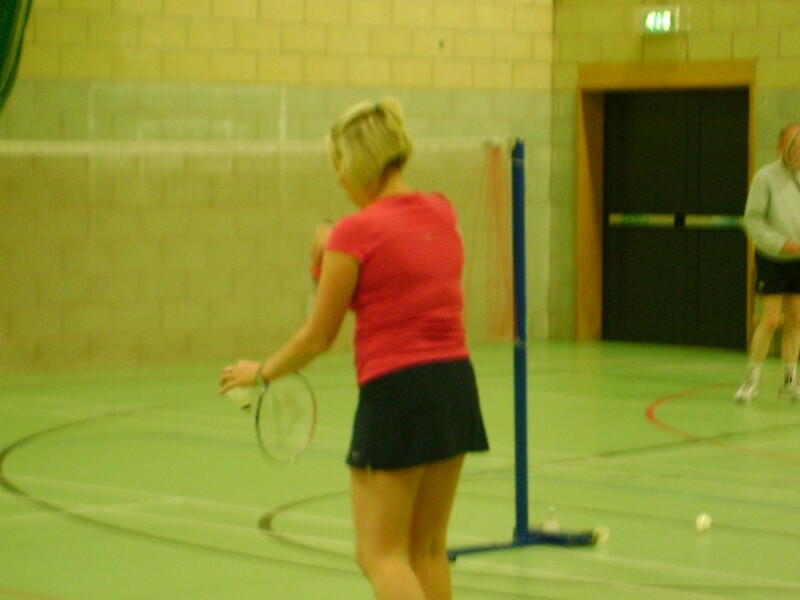 It was Rachael Hodgson, however, who impressed the opposition with her court coverage and positive attitude. This was a pleasure to see. The score in games does not do this fixture justice in terms of the closeness of so many of the matches. At the end of the night, however, it was an emphatic victory for Hit & Miss as they move inexorably to the top of Division 1. This week your Roving Reporter headed to St Wilfred’s to watch an early start 7pm match between College and Abacus in Division 2. As soon as I saw Dorothy Mennell with her pontefract cakes and Sheila Aldred with her cushion (those benches are hard!) I knew we were in for a good night of chat and badminton – followed by a quiz in the Postal Order, Darwen Street…if you’re ever at a loose end after a College home night you know where to go! Throughout the evening I saw nothing but friendly, competitive play on court and nostalgic banter off it. Mick Crilly’s experienced cross court drives on his backhand, coupled with his partner Karen Lamb’s excellent serving, led the way to Abacus’s victory. Andy Shutt’s well- judged line calls and control of the game were impressive as were Darren Veevers’ flat drives across court. Not to be outdone, however, the top couple from the home team, College, namely James Aldred and Carol Yates, nobly battled point for point, only narrowly missing out in their matches. 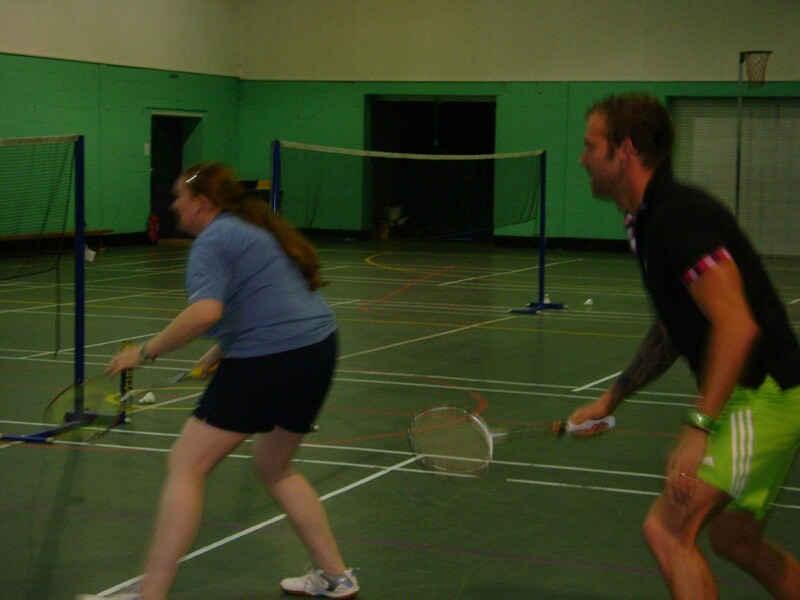 In the second mixed doubles, Will Pang and Julie Pye battled hard against Andy Shutt and Rachel Hilary. In the end, despite Will’s aggression at the net, it was down to the well placed positional play of Andy to see off the opposition. Likewise, the third pairing of Paul Ainscoe and Hannah O’Grady (whose healthy glow just got rosier and rosier as the night went on) and Abacus’s Darren Veevers and Alex Bullock, played an evenly matched game in the best of spirits. Following firmly in his father’s footsteps, Paul’s play revealed an easy going love of the game and a desire to both listen and learn. In the level doubles the strength of the Abacus ladies, particularly their captain, Karen, was at times difficult for the College ladies to control. To their credit, all three ladies continued to try their hardest, achieving very creditable final scores. The men’s doubles was another closely fought battle: Paul continued to be aggressive in his smashes for College aiming some accurate body shots at the opposing men. Unfortunately, the experience of Mick, Andy and Darren eventually saw off the College men, but not before James had worn off another layer from his already worn out trainers. The generosity of both sides in their line calls and sportsmanship were a pleasure to see and were my lasting memory of this closely fought match. Well, what a first match the Roving Reporter chose to attend: Blackburn Seniors C versus their D team. 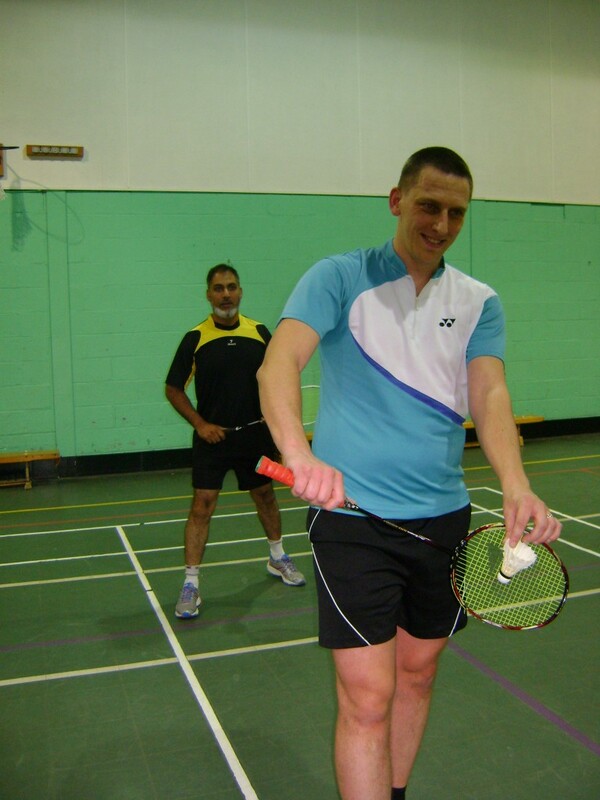 The camaraderie and friendliness were evident from beginning to end, a testimony to this Club’s inclusive and enthusiastic approach to badminton and its promotion in Blackburn & District. It sounds like a cliché to say it was lovely to see so many new, young players on court: from the stylish Morgan Shanks, with not a hair out of place, to the emerging expertise of Connor Bell; but it really was lovely to see so many promising players enjoying the game of badminton. The Club, however, isn’t called Blackburn Seniors for nothing as Elaine Smith was first to point out. Describing herself as the oldest player in the team, Elaine was quick to chastise Lily Edmundson for ‘deliberately serving high to me when she knows I’m not good at running backwards’. With her husband, Steve, in the opposing team, this match was always going to be entertaining to say the least. I did start by counting the frame shots in Elaine’s first mixed – ‘good woods’ is perhaps a more generous description – but Lily’s panic face said it all! The match was captained by Anne Masterson for the D team who had a beaming smile on her face from beginning to end; and Claire Edmundson as non-playing captain and Mum for the C team. Claire’s gentle encouragement to her team not to go soft on the opposition was sustained throughout all of the games with many of the matches going down to the wire. There was more than Lily with a panic face. In the C team, there was some impressive net play from Helen McKernan who delivered tight short serves throughout the night, and Keira McPartlan who aggressively dominated the net, using her height effectively to intimidate the opposition. The young boys in the D team, however, namely Harry Boyle, Jack McKena and Morgan Shanks, all from Blackburn Seniors Juniors, never stopped reaching for shots as they scampered around the court – despite the roast beef and Yorkshire pudding some of them (Jack) had eaten an hour earlier. The only slight controversy on the night was the query that the D team boys had been playing for an hour prior to the game at the Club’s coaching session that night. Next time, Elaine informed me, Jack would be resting before his mixed with her. Mel Rushden and her mixed partner, Harry, in the D team, showed admirable determination in their mixed games, with Harry’s strong smash making the most of Mel’s tight net play. Yu Hanaki (Dan) looked very much at home on court with Helen McKernan for the C team, later partnering the experienced Steve Smith. Although the young boys in the D team continued to work their badminton socks off, eventually, as all C v D matches should, the games fell in favour of the higher ranked team and players. On the night, then, does it matter what the score was? NO. The match was played in a friendly yet competitive fashion, with both teams respectful of the others’ ability. I left the court excited about the challenge I had set myself to report on one match a week during the season and also relieved to discover that Steve and Elaine were in fact married, and he didn’t just sleep with her after badminton matches!